Our fav, garage rockers from Ohio finally drop their debut LP. Following up three stellar EPs and in between what seems like a non-stop tour schedule (including current UK dates with Shonen Knife!!!) the Ohio trio found time to get back into the studio. This time Leggy have been laying down the tracks for their debut full length collection of noisy, pop ditties. While the LP does include a number of their stellar, past tracks it does feature plenty of new material including the album’s lead in “Kicking the Habit” The gritty anthem for anyone who’s loved someone who is bad for them is a more slow chugging and gloomy then past songs but the slamming, jangly drums, fuzzed out riffs and bass the vibrates your soul, remaining true to their distorted, garage rocking ways. Give it a listen below before going on Spotify and checking out the rest of their self-titled album, out now via Damnably Records. 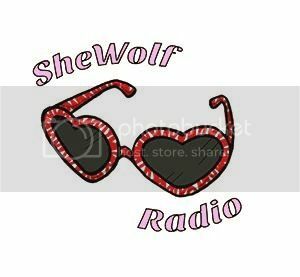 Posted on April 28, 2016 by shewolfradioTagged cincinnati, damnably records, garage rock, kicking the habit, leggy, New Music, noise pop, self titled, shewolf radio, shonen knife.